that the reader will already have come to the conclusion with regard to these productions that, taking them all in all, any-one who set himself to improve upon genuine "Sheraton," either in regard to general convenience or elegance, would have a hard task. Many have tried, but few have succeeded. 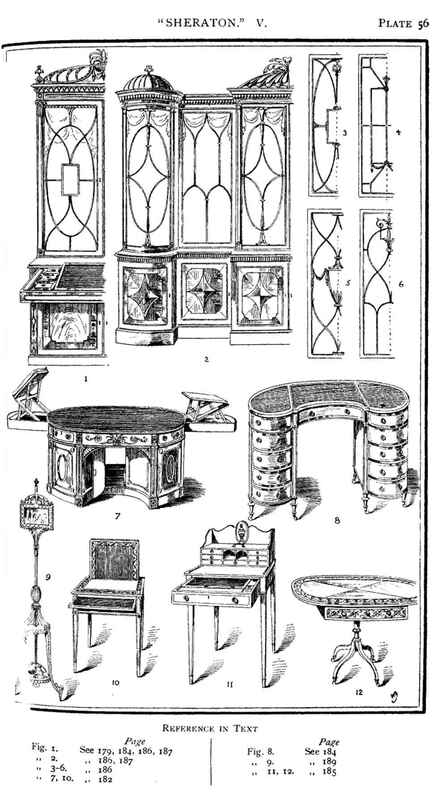 We see, then, that by the time this designer had done with it, the sideboard—as distinct from the older " side-table" with its attendant pedestals and vases, which produced such a " grand effect"—had become firmly established in the British home as an indispensable item in the dining-room, and from that day forward continued to grow in dimensions—though certainly not in grace !—until it assumed proportions altogether and unwarrantably unwieldy.